LG Q9 One with Snapdragon 835 and Stock Android 9 Pie OS is Official - Playfuldroid! 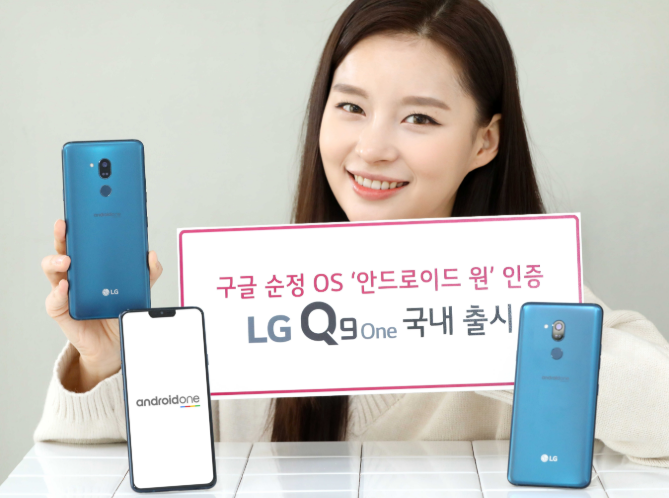 After launching the LG Q9 phone in South Korea in January, it has today unveiled the LG Q9 One Android One smartphone in the home market. The new phone has arrived with stock Android OS experience and it is powered by a better chipset. The LG Q9 One comes with a 6.1-inch display that supports Quad HD+ resolution. The FullVision IPS LCD with a wider notch offers 19.5:9 aspect ratio. The Snapdragon 835 SoC and 6 GB of RAM fuels the LG G9 One smartphone. The Android 9 Pie OS without LG’s custom UI is preinstalled on the device. It comes with an internal storage of 64 GB and there is a microSD card slot for additional storage. The handset receives power from a 3,000mAh battery and it is equipped with support for Quick Charge 3.0. When it comes to photography, the smartphone is fitted with a single rear-facing camera of 16-megapixel with f/1.6 aperture. The front notch is the home for 8-megapixel selfie camera. The phone is equipped with some other features such as rear-mounted fingerprint reader, Wi-Fi 802.11ac, 4G LTE, Bluetooth 5.0, USB-C and NFC. The LG Q9 One will be available for purchase in Moroccan Blue edition with a price tag of KRW 599,500 ($533). There is no word on the international availability of the LG Q9 One.